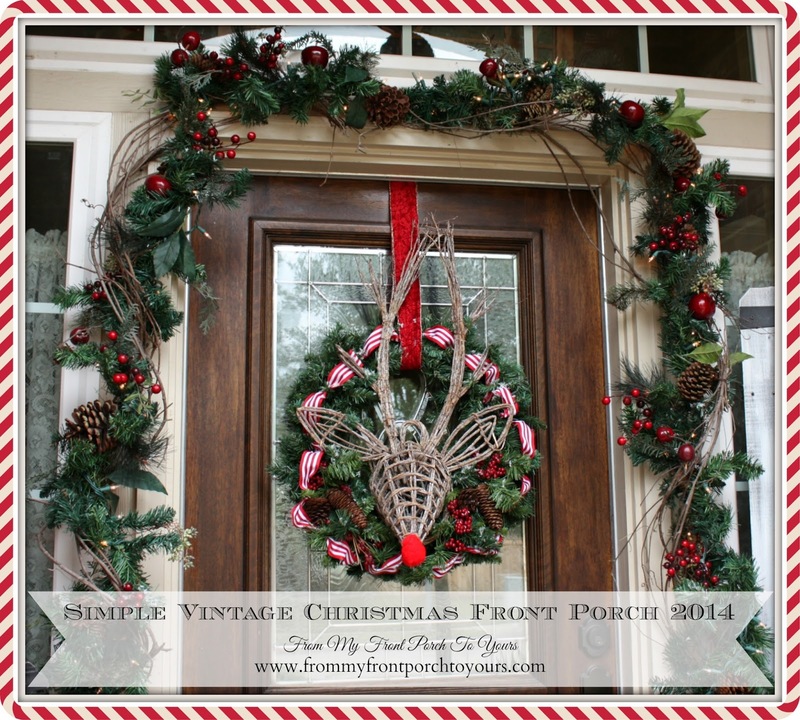 Welcome to our Christmas Front Porch for 2014! This year I kept things fairly simple. It did not take long at all to put it together minus one feature but I will get to that in a moment. I kept the Welcome sign on the porch. Last year it said "HoHoHo" but I wanted to keep things easy as possible so I opted out of changing it up. Besides that I love the pop of blue it adds to the porch. I added tinsel garland to the tree. I love the vintage feel of it. I used it on our Christmas tree inside too. Can't wait for that reveal! I updated our Christmas wreath with a grapevine reindeer my mama gave me last year. To make him full of whimsy I hot glued a red pom pom to his nose. And what porch would be not be complete without a visit from Ol' St. Nick!? This fella was my splurge for the porch this year. I purchased him from Antique Farmhouse and added lights to the tree. You can not see them in this pic so I will be sure to take a pic at dusk so you can see the porch all aglow. Hope to see you back here this evening for Treasure Hunt Thursday. Love your Santa and the hanging ornaments ! Very pretty front porch ! Your Christmas decoration outcome is absolutely phenomenal. I LOVE, LOVE, LOVE THE RESULTS. 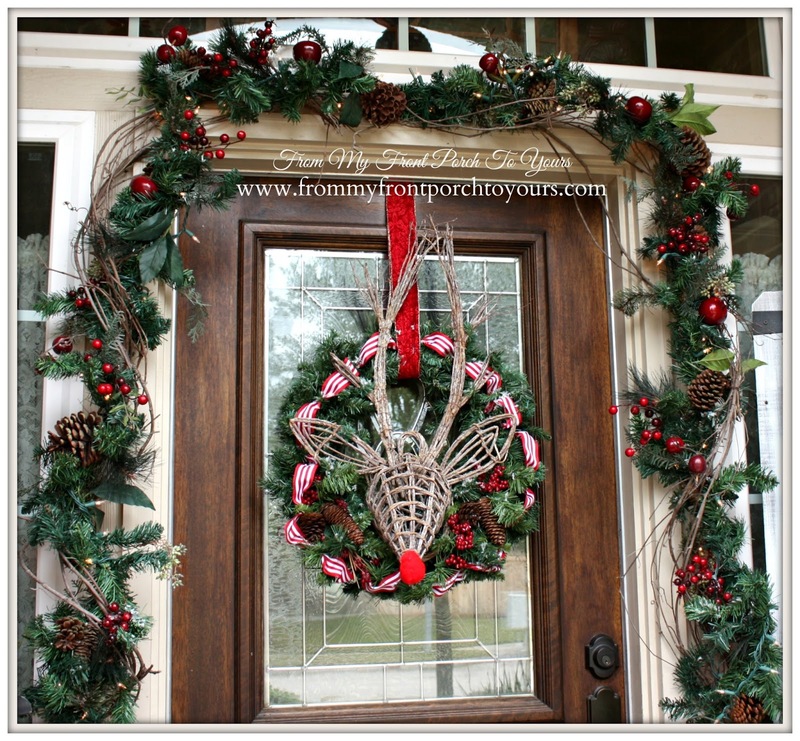 I love the wicker reindeer head in the wreath. So eye-catching and cute. 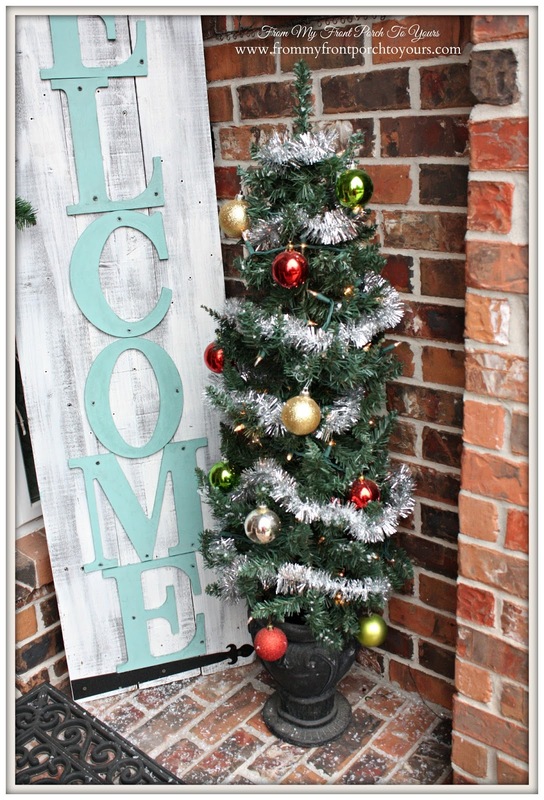 Your porch is so festive and inviting! 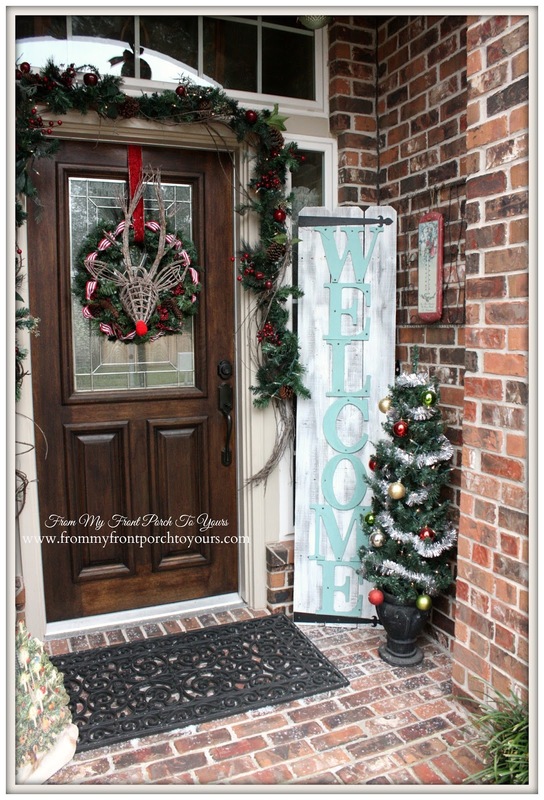 What a lovely front porch all decked out for the season. I love your grapevine reindeer. Soo cute! SO pretty......and very welcoming too!!!! 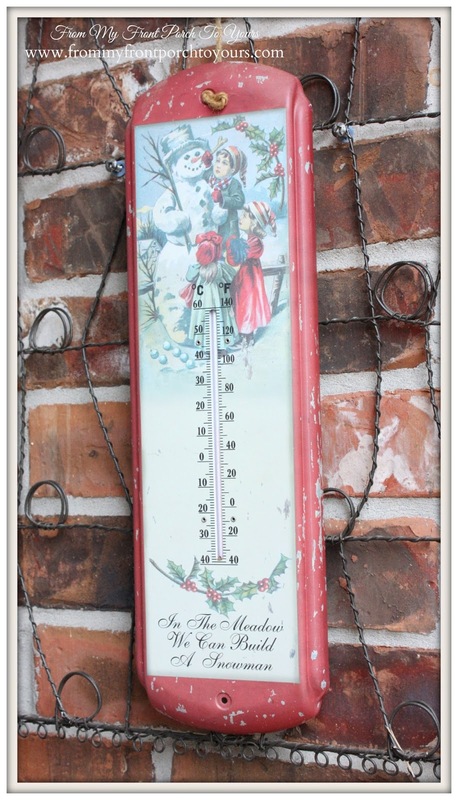 I love the hanging ornaments and the thermometer is soooooo cute!!! So pretty Pamela! 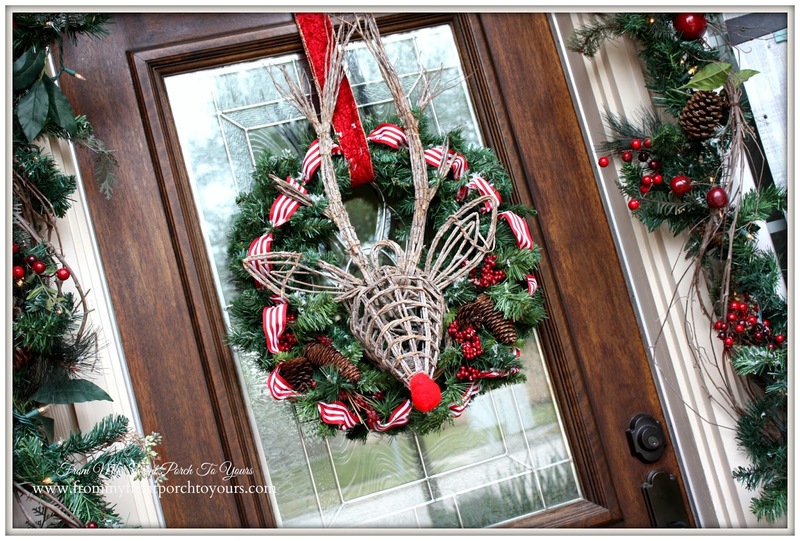 In love with your Santa and your Deer door wreath! That's cute, Pamela. 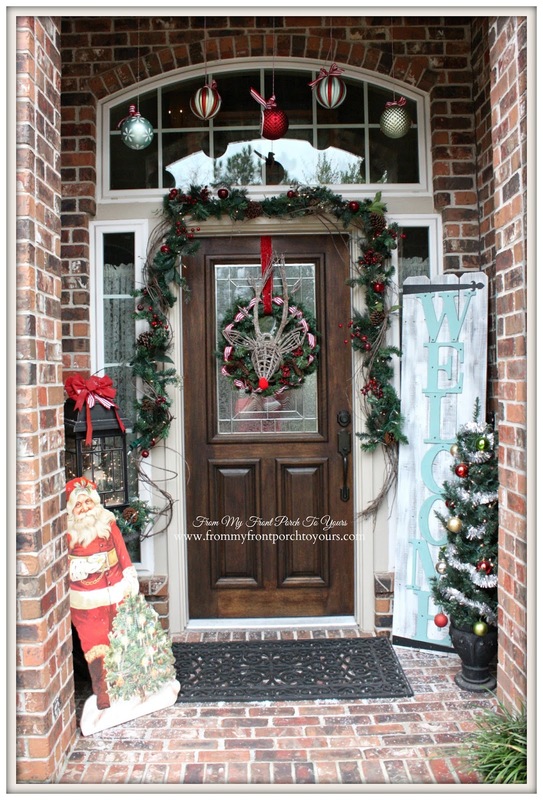 I love the deer head added to the wreath. Really pretty, Pamela! Happy Holidays to you and your family. 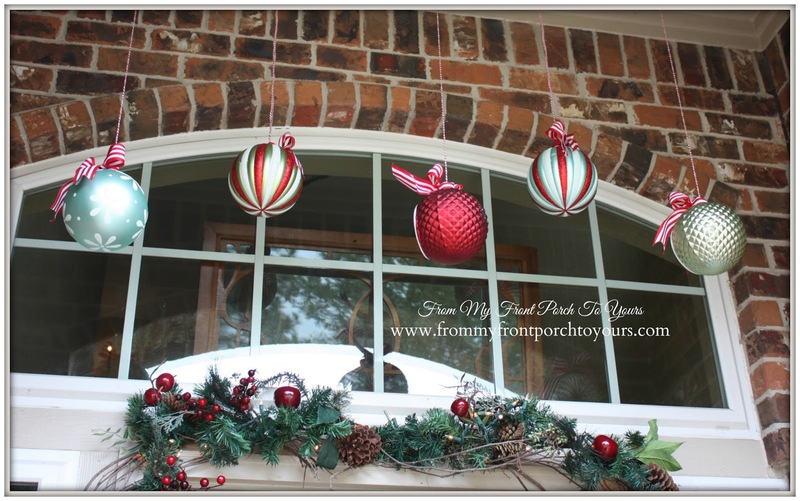 Your front porch looks wonderful Pamela! 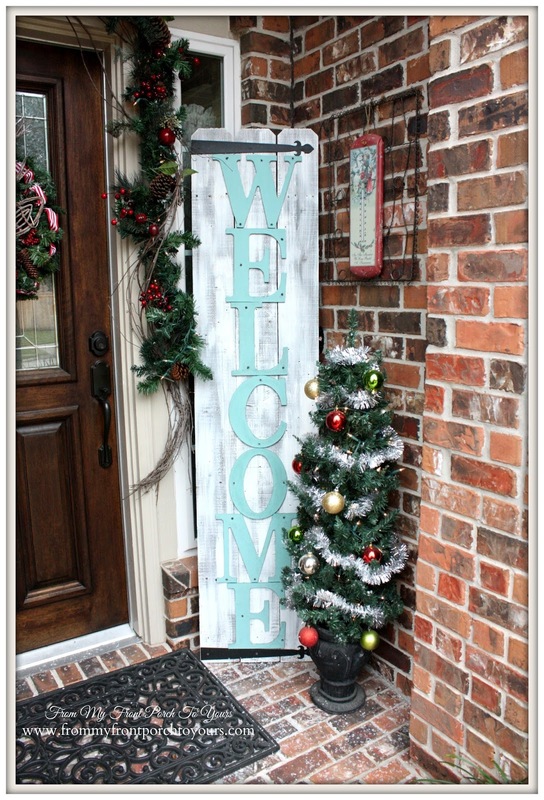 I love the Welcome sign! 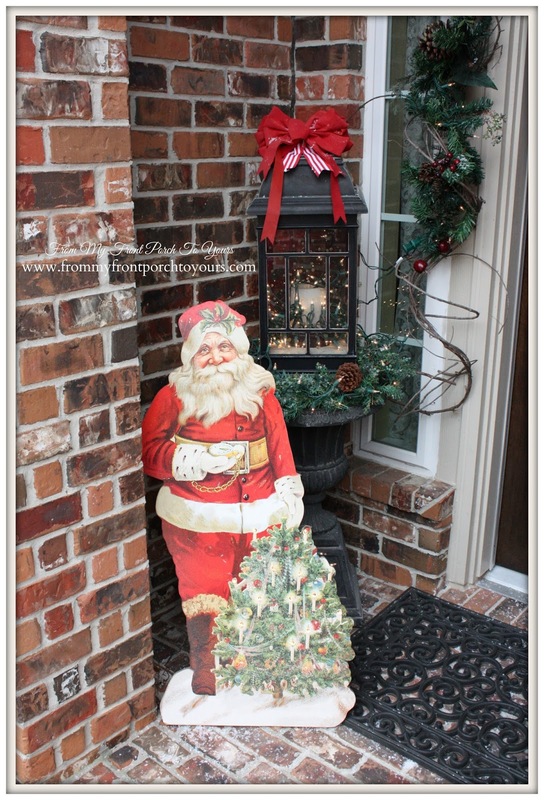 Just love your porch Pamela....and that great Santa !!! Love your porch, Pamela. 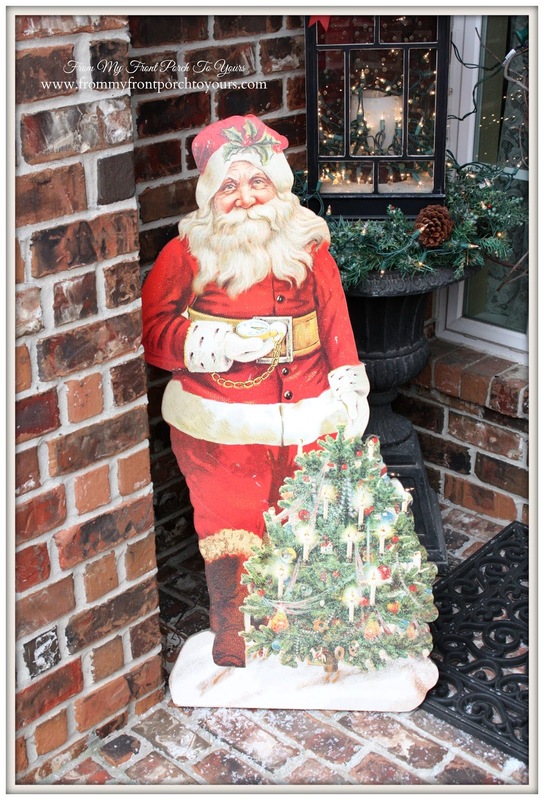 The vintage Santa is so cute! Everything looks wonderful! My favorite thing is the Christmas ornaments you hung up! Love them!